Active and extremely social, black-tailed prairie dogs live in complex communities. They are an important part of the prairie ecosystem. They help keep the soil healthy by loosening it with their digging. They provide a source of food for other animals, including eagles, ferrets, and coyotes. 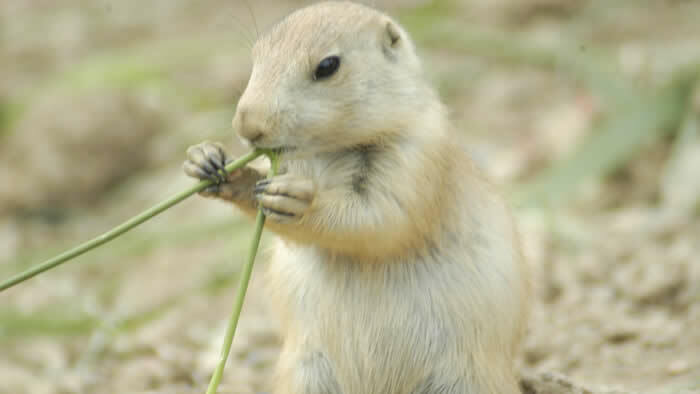 Prairie dogs eat mainly grasses and other plants, but will also consume seeds and insects. Prairie dogs live in and around “towns” of tunnels they carve 3–10 feet beneath the surface of prairies and semi-deserts of the western United States, Canada, and northern Mexico. Prairie dogs are adapted to live in dry, resource-scarce conditions. Their tunnels help protect them from predators and from the hot sun. Their sandy color camouflages them against the light-colored ground. They are able to survive for long periods on water they obtain from the food they eat. Prairie dog populations have declined due to disease, habitat loss and fragmentation, poisoning, and shooting. 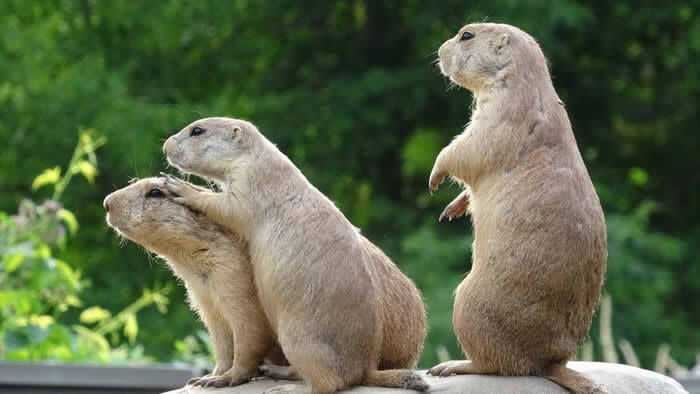 The barking sound prairie dogs make when communicating with each other earned them their name. Scientists have identified at least 11 calls, each with a distinct meaning. 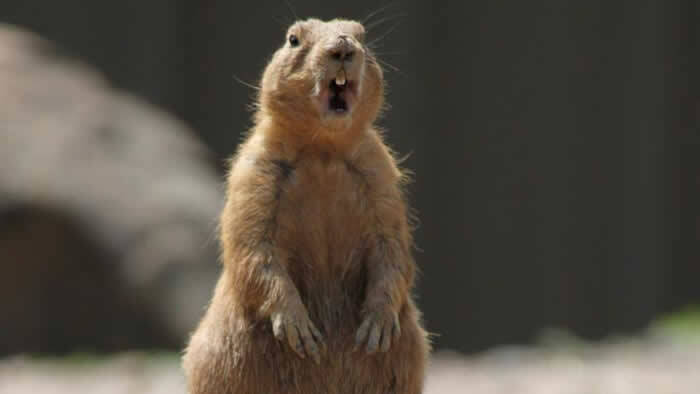 Young prairie dogs are called kits. In the past, prairie dogs were killed in large numbers because ranchers thought they were destroying rangeland and competing for food with cattle, or were worried their cattle might break a leg by stepping in a prairie dog hole. Black-tailed prairie dogs are unusual among the five species of prairie dogs in that they don’t hibernate. Loss of prairie habitat to agriculture and other human activity has helped produce a drastic decline in the number of prairie dogs. The decline in prairie dogs in turn has had a devastating effect on the North American black-footed ferret, which lives in prairie dog burrows and preys almost entirely on these animals. The black-footed ferret has become North America’s most endangered mammal.